Yoyorecreation's most iconic model - the SLEIPNIR makes a return! 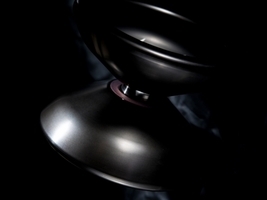 When it was first released in 2009 the SLEIPNIR was a huge trend setter in the yo-yo market, influencing the shape, size and materials use in yo-yo design around the world. 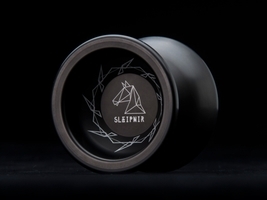 It is perhaps thanks to the influence of the SLEIPNIR that horizontal yo-yo play has been explored so thoroughly, and that competitive yo-yoing has taken a huge leap forward. IIt was designed with the intention to push the limits of spin power and stability by using a 57mm diameter and A7075 aluminium alloy. 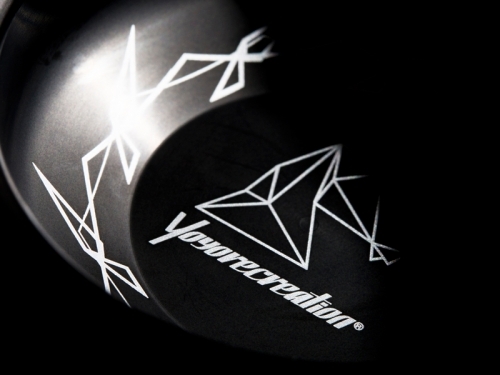 You could say the incredible playbility personifies the philosophy of Yoyorecreation. We are very pleased to be offering a re-release of the absolute gold-standard of modern competition yo-yos, which is still as quick on the string as it's namesake as it was on the day it was released. NOTE: The shape has been slightly modified for the 2014 Run of Sleipnir's, which now belongs to the 'Step Round' Category as from before it belongs in the 'Step Straight' Category. March 30, 2019, 3:03 a.m.